We have a strong focus on vocal music at Tilden School. 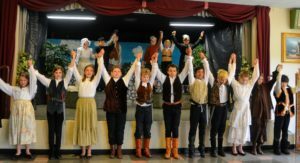 Students are introduced to a broad range of music styles, periods, and techniques, formal and fun, complicated and simple. Our program is led by our talented Head of School, Whitney Tjerandsen, and nationally recognized director Lou Magor. They learn to clap rhythms, sing solfège syllables (do, re, mi, etc. ), recognize intervals and syncopation, harmonize, and move to music while listening to directions. 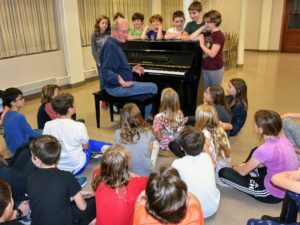 They also experience ensemble and solo singing, rounds, song memorization, matching pitches, and a range of singing techniques. We regularly commission musical compositions by Northwest composers John Muehleisen and Robert Kechley. These original and challenging pieces are written for the Tilden students and performed at the Spring Concert. Additionally, the school hosts special musicians and musical groups several times each year. 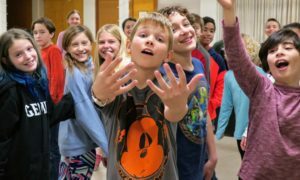 First through fifth graders work with Lou and Whitney for Tuesday Chorus, a music and movement class. Kindergarteners work with Lou on Fridays for Kindermusik, a music and movement class. The full school gathers for Music with Lou on Fridays to explore the repertoire of older standards, songs from musicals, and classics. 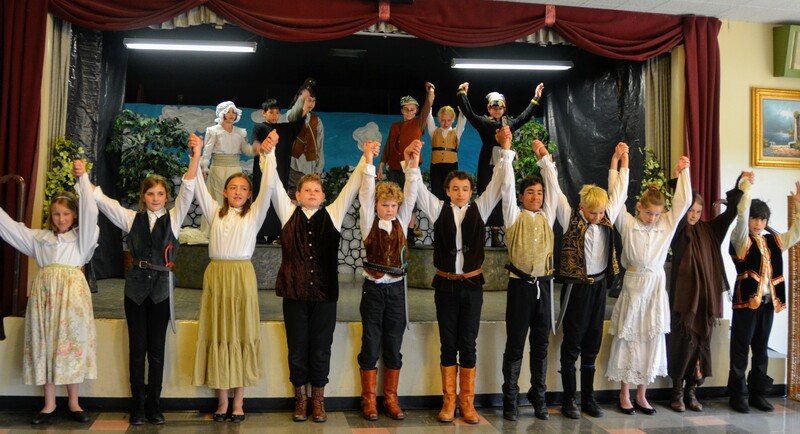 Drama is an essential element across our curriculum as our students engage in the interactive process of learning. 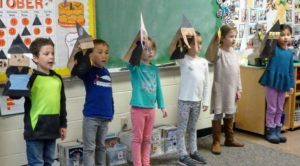 Students bring their studies to life through drama activities including readers theater, poetry recitations, puppet plays, history reenactments, character portrayals, Shakespearean plays, Spanish dramatizations, math and science skits, phonics dramatizations, and holiday celebrations.